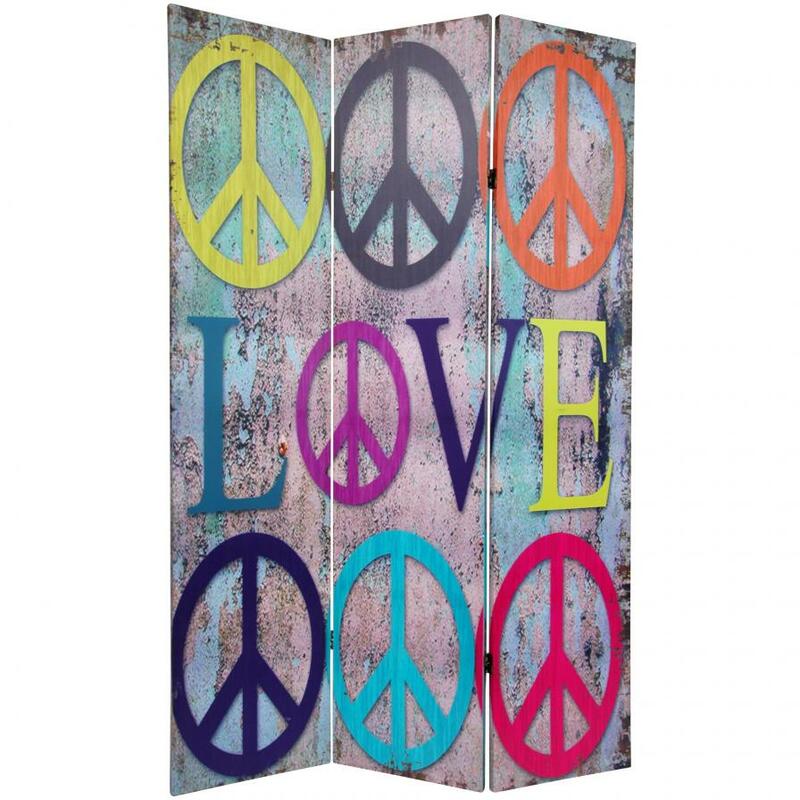 Kitsch collage of art graphics depicting peace and love in counter culture designs reminiscent of Andy Warhol, Twiggy, and "the scene". 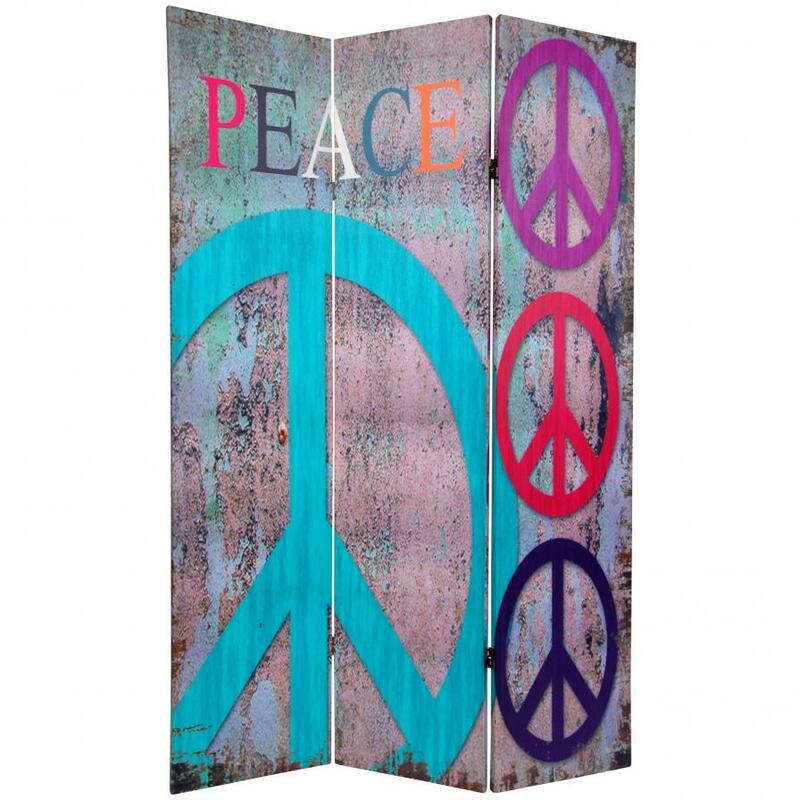 Vibrant prints on six foot tall panels provide a practical folding screen for privacy, blocking light, dividing and defining space, or screening a messy work area. Great for dorm rooms, art studios or rec rooms.